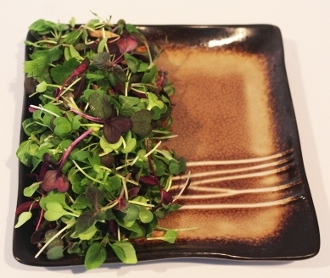 A combination of Asian herbs and greens including Shiso, Mustards, Radish Ruby, Shungiku, and Tatsoi. Top sushi and other Asian favorites, float on ramen or pho. Perfect finishing touch for stir fry and noodles.